Jim has been in the construction industry as a construction manager for over 40 years. As a builder of buildings, it is natural to him to build churches and people. 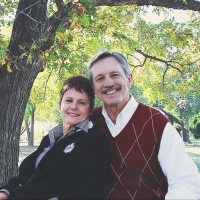 Jim has served as Pastor of Evangelism for (2) churches, lead Pastor for (9) years for a new church plant and served as State Church Planter for the Church of God in Oklahoma. Barbara is an interior designer and is the creative one of the family. She has provided interior design for both residential and commercial customers for the past 20 years.